After nearly two years, Slingbox has just announced its newest boxes, and a brand new look. Welcome to SlingTV. 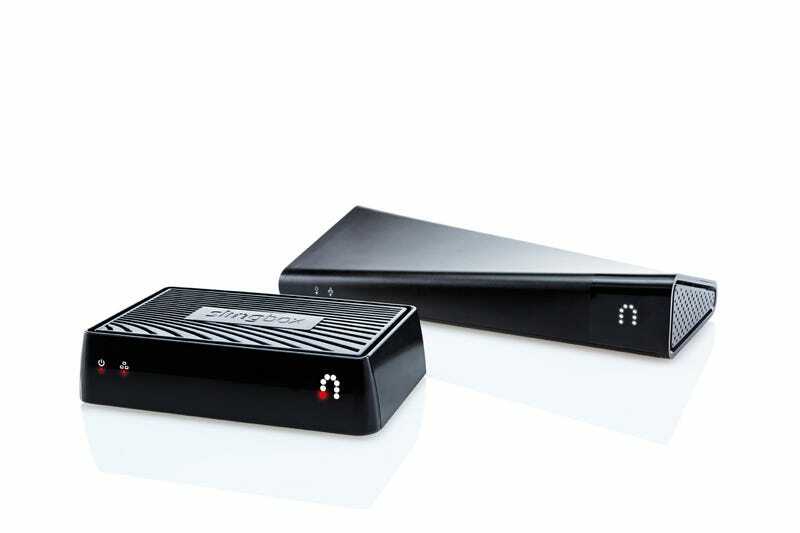 An update to the previous Slingbox 350, the new Slingbox M1 comes with built in Wi-Fi (thank god) but still relies on old school component cables to hook up to your TV proper. It's also fully configurable through Sling's iOS or Android app. And for all that it's $150, $30 cheaper than its predecessor. The SlingTV, on the other hand, is pretty much just the Slingbox 500 with a new name, at least when it comes to hardware. Its software side—also called SlingTV—is getting a bit of an overhaul. Not only does SlingTV bring a new tile-based layout, but it's also got a few new features up its sleeve. SlingTV has support for apps, movie and TV ratings, and even live sports scores and stats. It's moving more into smart TV territory, which could be great if it can build the app library needed to pull that off. Sling's mobile apps are getting an update too, which include the power to configure the M1 from your phone, and the ability to handoff video to both Roku and Apple TV from the Slingplayer for iPad app. And that's full handoff. So you don't have to keep the app running.